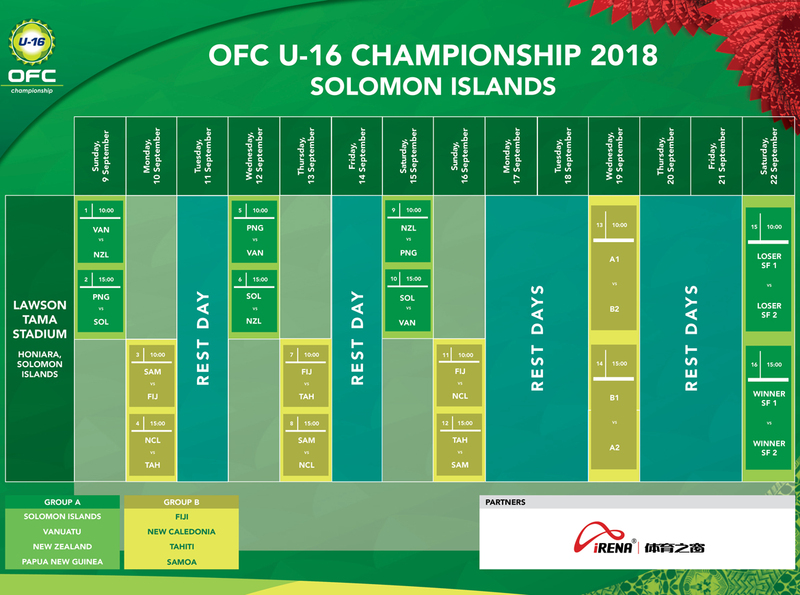 Following confirmation of Samoa’s place at the OFC U-16 Championship, after taking out the Qualifier in Tonga with an impressive 22 goals in three games, the match schedule for the September competition has been finalised. Samoa beat Tonga, American Samoa and Cook Islands to claim the final berth in the regional tournament which will be held from 9-22 September in Honiara, Solomon Islands and they will join Fiji, New Caledonia and Tahiti in Group B. In Group A are hosts Solomon Islands, defending champions New Zealand as well as Papua New Guinea and Vanuatu. All 16 matches will be held at Lawson Tama Stadium in the capital city, with kick-off times having been determined to avoid the peak heat hours. OFC Competitions Director Chris Kemp said the decision was an easy one to make considering the age of the competing players. “In consultation with medical professionals and the OFC Technical Department, we proposed 10am and 3pm kick-offs for each match day to avoid the peak sun hours,” Kemp explained. Two teams will qualify from the OFC U-16 Championship for the FIFA U-17 World Cup which will be held in Peru in October 2019.